For the past 15 years I have returned to Seton Hall Law as an adjunct professor to coach students in these same moot court competitions. Three weeks ago, working with fellow graduate Melissa Natale and the moot court director, Professor Jodi Hudson, I helped coach two teams of third-year students to compete in the Regional Leg of the National ABA Competition in Brooklyn, NYC. One team made it to the finals in Chicago in early April as one of the top 20 teams in the country and the other team went undefeated into the final round, where they lost by a mere 6 points in a tiebreaker. But it would be wrong to think this is just something students do in school and has no lasting imprint on the practice of law. A month before this Moot Court competition, I spent a week in Washington D.C. with co-counsel, preparing to argue a case before the United States Supreme Court. The case was my first before the Court. I was lead counsel of record and helped the City make the decision to hire Thomas C. Goldstein to assist the litigation team because of his expertise in Supreme Court practice – he has presented before the Court approximately 40 times and I believe this is more than any other private practice lawyer in modern history. Fortunately for me, Tom Goldstein and I went through the same workout regimen I place on our Seton Hall Law moot court students: we broke the case down, we talked about theory and themes, the big issues and the sub-issues that spin out of a case, the questions we are likely to get from the judges and how we should respond. We reviewed our arguments, pinpointed our weaknesses, and honed the points and talked about the best way to answer the questions asked. I felt vindicated through my preparation with Tom because there was someone else out there practicing the law at the highest level who believed in the same “method to my madness” and my belief that moot arguments are actually the best way to prepare for any case. Moot court allows the student a rare opportunity to hone the craft of oral advocacy. While in this mock appellate setting, students gain a set of tools that they can use in everything from negotiation, trial preparation, deposition preparation, and even witness interviews. I took those very same skills – learning how to prepare for a case and to moot a case – with me into private practice. Because it was such an essential part of what I rely upon as a lawyer, I continue working with students at Seton Hall Law School as an adjunct professor/moot court coach. As a coach, I give students a chance to interact with real practitioners who have been through the same training program. I use my own practice experience, telling them, "Look, I know where you are, but let me tell you what's going to work better for you." I challenge students with questions, calling to their attention the way they speak and the way that they formulate the answers to those questions. I think that's what prepared them best for their successful run in this particular competition. I am proud that Seton Hall has one of the preeminent moot court programs in the country. Over the past two months, mooting with Mr. Goldstein for our Supreme Court case, and coaching students to victory in an interscholastic competition, I also realized that coaching allows me to reset myself, in terms of what I need to be doing every day as a lawyer, every time I step into a courtroom or before an appellate panel. I'm a trial attorney, a negotiator, and an appellate advocate, and I think that we get caught up in the day-to-day business and sometimes forget about the craft. Every year that I coach students, it checks me back into the craft and refreshes my skills. I think it helps me be a better lawyer and a better advocate for my clients and for my firm. 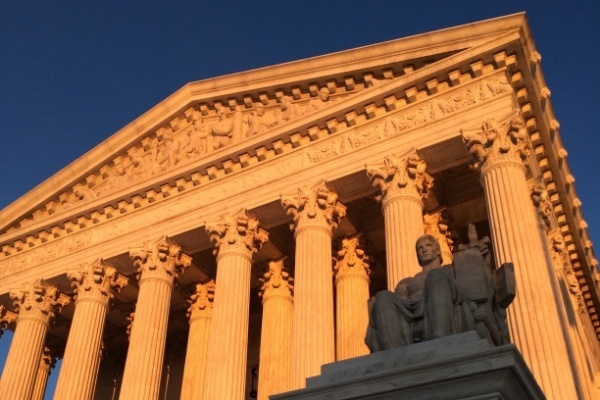 Read Mr. Afanador's tips for other attorneys fortunate enough to argue before the United States Supreme Court on the Lite DePalma Greenberg blog. Top photo: United States Supreme Court Building taken by Mr. Afanador while running the day before the argument. 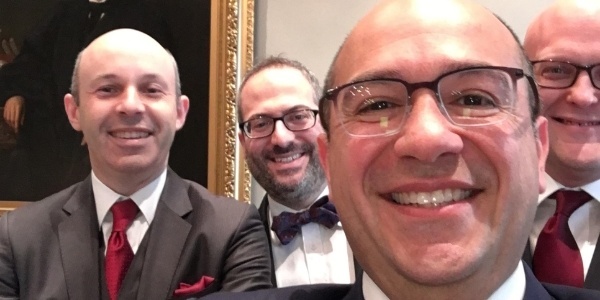 Bottom photo: Pictured L-to-R: Thomas C. Goldstein (oralist before The Court); Domenick Stampone, Esq., Seton Hall Law class of '98, Corporation Counsel for the City of Paterson (the client in the case); Victor A. Afanador; and Ryan P. Mulvaney, Esq., Seton Hall Law class of '02 (counsel for one of the co-defendants). 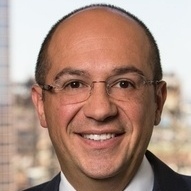 Victor A. Afanador is a 1998 graduate of Seton Hall Law School and a Member of Lite DePalma Greenberg, LLC in Newark, NJ. Mr. Afanador's practice areas include Appellate Law, Public Entity Representation, Criminal Litigation, Employment/Labor Law, and Complex Commercial Litigation.